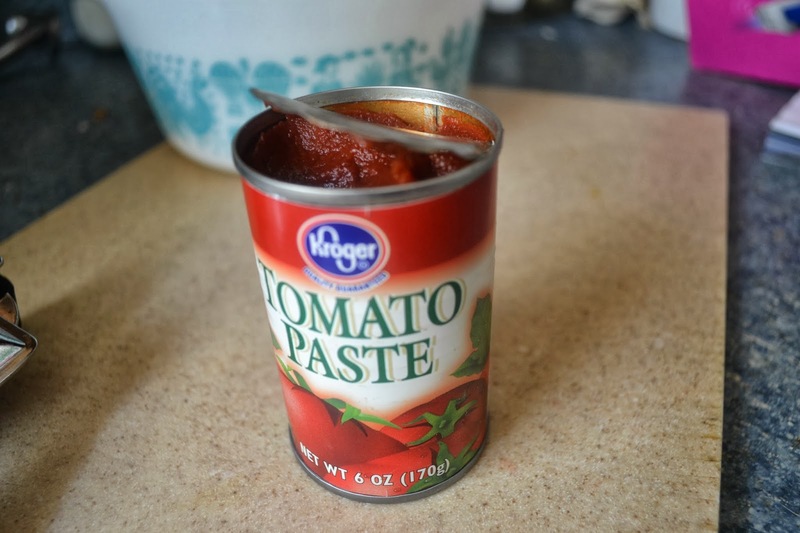 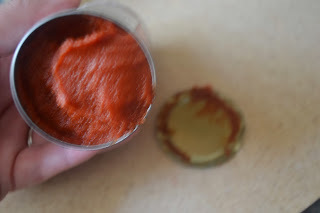 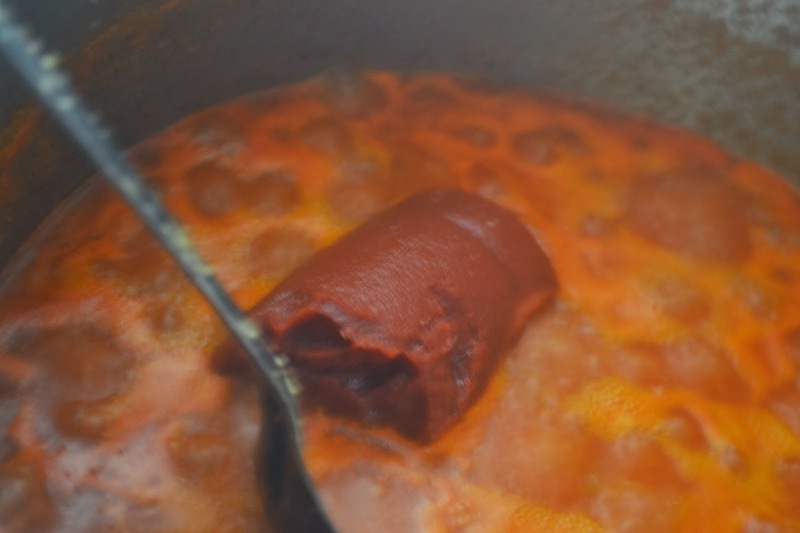 If you have ever sat there scraping out that thick tomato paste from those itty bitty cans or shaked and scraped the contents of a cream of chicken soup can out you will be happy to learn of this quick and easy trick for opening and emptying those cans! Seriously, you'll hate that you didn't figure this out before but you'll do it from now on! 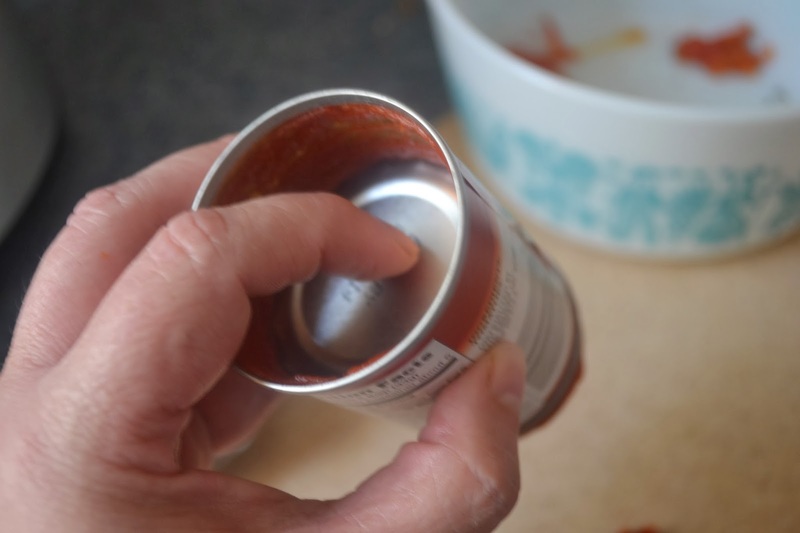 Using a regular can opener (not those safety lid kind), open the top of the can,but leave the lid in place. Flip the can over. 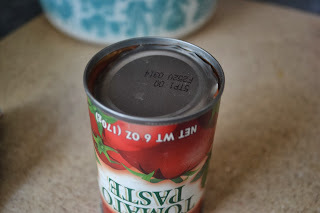 If opening with a hand held can opener, set the now opened side down on your counter. 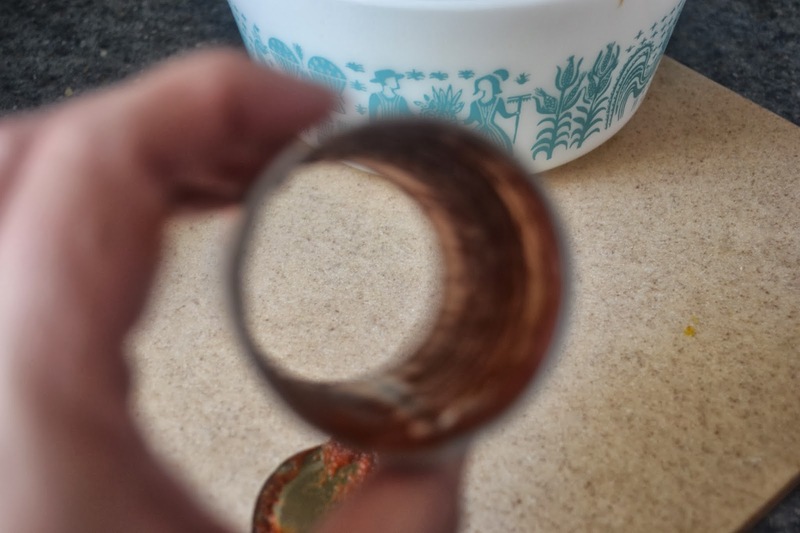 If using an electric, use a finger to keep the lid in place upside down as you work. 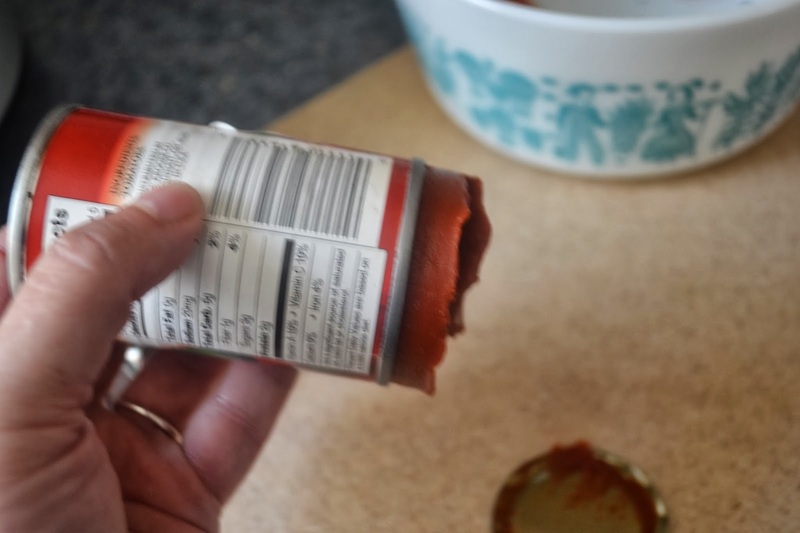 Open the bottom of the can. 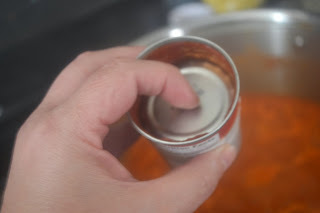 Hold the can over the mixing bowl or saucepan you are using the soup/paste in. Push with your finger on the bottom lid, sliding it and all of the contents of the can right out of the can and into the bowl/pan. 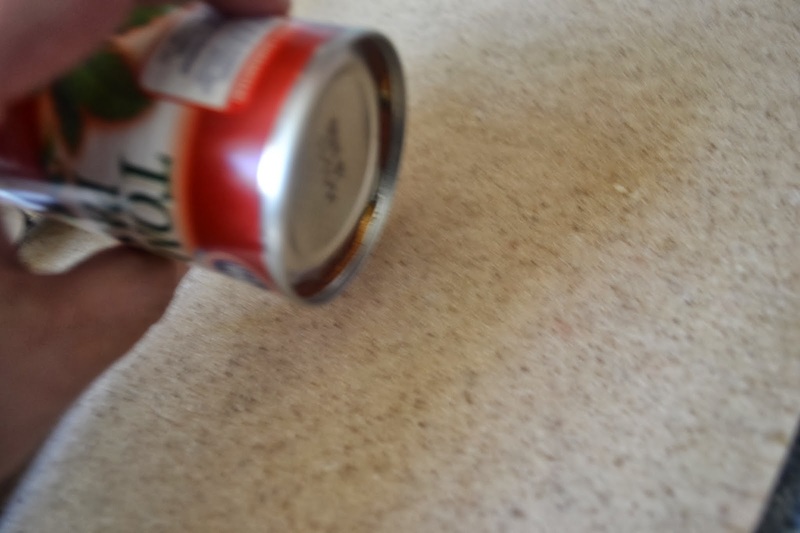 Can is clean and empty in just seconds!